Luis Dominguez was born in Argentina in the early 1920s and has had a long and distinguished career in comics in Argentina and the US. For my generation, he’s well remembered for his work with DC Comics in the 1970s. From what info I’ve been able to find, he’s still alive today. 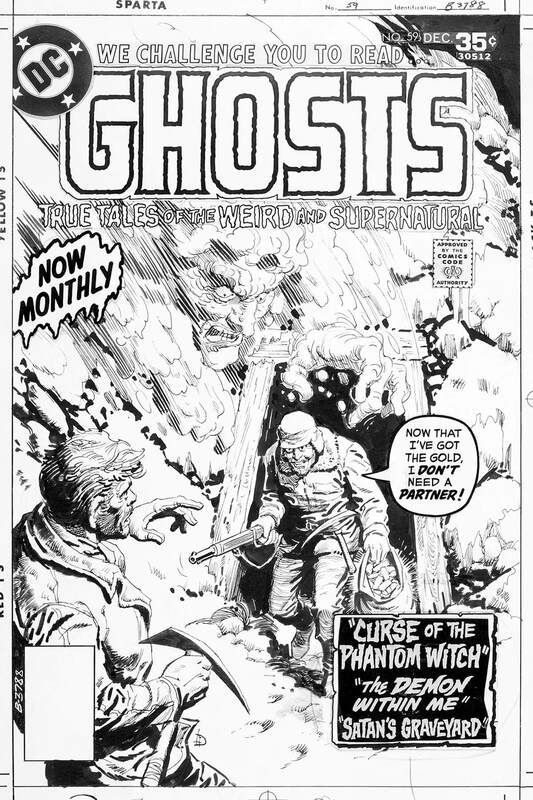 Here’s a favourite, the cover for one of DC’s horror comics: Ghosts No. 59, December 1977. Rebuilt trade dress – logos and type – combined with the lineart. An homage to the original colour scheme. A new colour scheme. Never cheat your partners.